The American Heart Association (AHA) requires that all instructors be members of a training center. Instructors may teach for any training center. 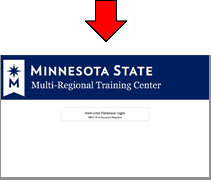 We are called the MNSCU–MRTC (Minnesota State Colleges & Universities, Multi–Regional Training Center). The MRTC allows instructors to teach anywhere in the United States without having to align with another training center. The MRTC has a contractual agreement with the AHA to provide specific services. The MRTC is not a subsidiary of the American Heart Association, nor does it receive funds from the AHA. A biennial membership fee covers the cost of the distribution of information and materials, instructor certification, the supply of updated teaching materials, and the maintenance of the training center database and web site. In order to be an American Heart Association training center, all instructors must use AHA curriculum and follow the AHA certification protocols– videos, skills check lists, tests and certification cards. We are your main contact for all AHA courses, products or just any questions you may have related to AHA training. The staff are available Monday-Friday 8-4pm. 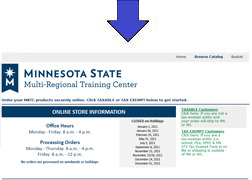 Gayle Steiner, MRTC Manager: 651-201-1796 gayle.steiner@minnstate.edu curriculum, AHA questions.